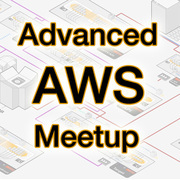 The next Advanced AWS Meetup is scheduled for Tuesday, May 6th at Okta Inc. in SOMA, San Francisco. Topher Marie, CTO at JumpCloud®, will be traveling out there to speak to the group on the topic of SSH key management. JumpCloud is deep into the Identity-as-a-Service space with our Directory-as-a-Service® platform. Not only can we manage SSH key access to AWS servers, but the platform centralizes user management across all systems, and it affords virtual LDAP capabilities, WiFi authentication, True Single Sign-On™ functionality, device management, multi-factor authentication, and more. Topher will be happy to answer any questions about our cloud directory services. Securely controlling access to your cloud servers is one of the most critical tasks that you can do to protect your infrastructure. Unfortunately, this is also a task that many DevOps and IT pros do manually. In this talk, Topher will show you how to securely manage access to your servers, manage SSH keys, and largely automate these tasks. Now you might find yourself with a few questions like…How do you do rotate SSH keys in a dynamic environment? How do the end users get rotated keys, or upload them to some central location? What security challenges will I face? How does the central management not become a single point of failure? No worries! Topher will be addressing all of that and much more in his talk. If you’re in the San Francisco area, we hope that you can join Topher on the 6th! Don’t forget to register for the meetup, and we look forward to seeing many of you!